The roof of your home not only protects you from the elements but also adds to the aesthetics of your home. You should hire the help of a professional company that offers high quality roof cleaning services to maintain it! You can rely on our skilled and trained technicians to use the best roof cleaning products to ensure a thoroughly clean roof. If you want to know the cost of cleaning roofs, you can talk to our consultants. We assure you of high quality services at the most reasonable prices. 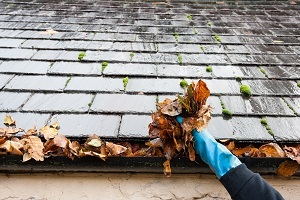 A roof that is neglected and not cleaned regularly will face the problem of moss growth eventually. To prevent this, you must choose a reliable company for roof moss removal. We have been offering high quality roof moss removal services for the residents of Clyde Hill for a long time. You can compare our roof moss removal cost with prices offered by others to ensure that you are getting the best deal. While removing the moss and cleaning your roof, we will ensure that the strength and integrity of the roof is not compromised. Why Choose Us as Your Roof Cleaning Company in Clyde Hill? 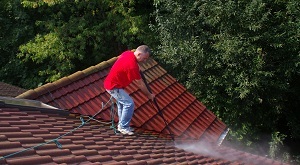 Choosing the best roof cleaning company in Clyde Hill can be difficult owing to the fact that there are several companies offering these services. However, to ensure that you are getting the best services at the most reasonable prices, you must do your research. With us as the roof cleaning company you've chosen, you can rest assured that you are being served by one of the leading companies of the industry. Our goal is to provide customer-oriented, highly satisfactory services. 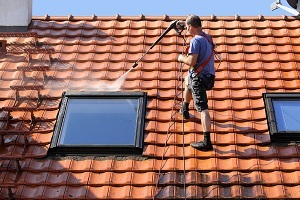 You can call Artisan Window & Gutter Cleaning at 206-607-6057 for any services related to roof cleaning in Clyde Hill.